First, let me say, I commend your faith. I commend your courage and bravery in coming to strangers’ homes and trying to win them over to Jesus. Further, compared to others like yourselves, I commend you for accepting that I am already a Christian. Too often, when I’ve been approached by evangelicals, if I say, “I’m already a Christian” or “I already have a church,” there is a certain kind of anger that bubbles up. A “transitional” deacon friend who was my Catholic hospital chaplain when I was in cardiac rehab 2 years ago described the same when he visited some non-Catholic patients on the floor. I hope that, if I had my voice and had spoken the words, “I’m a Catholic,” you would have kept that smile and “we’re brothers in the Lord” attitude. 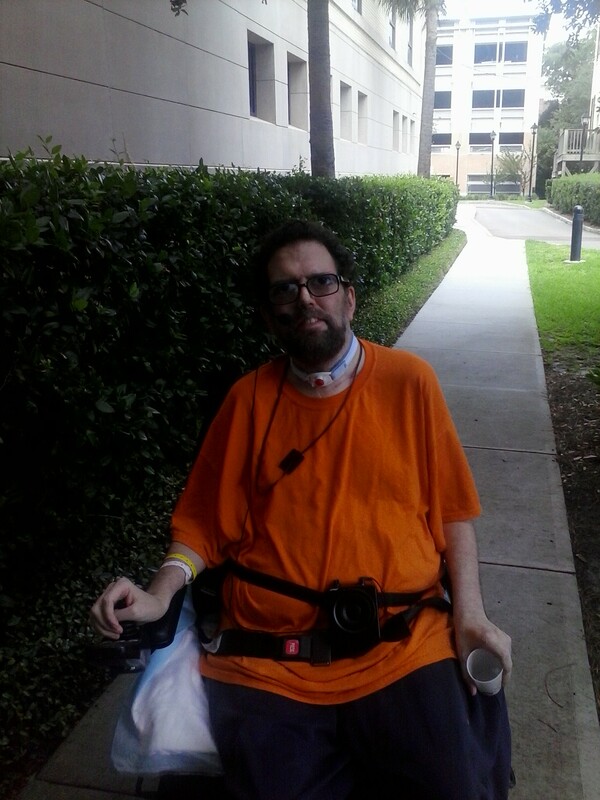 2 and a half years ago, before I lost my left vocal cord, I would have welcomed a conversation. Hopefully, it would have proceeded in mutually respectful dialogue. 1. Jumping in with “You have to believe in Jesus because there’s a judgment coming” isn’t the best way to approach people. 2. You handed me a pamphlet and said it had “All the verses you need to know.” I had intended to look at your pamphlet but misplaced it, so I dug around your website, and found a list. Assuming it’s the same list, I have a few questions, which I might have asked had the conversation proceeded in such manner. a) If I had been a nonbeliever, why would I care what the Bible says at all? b) As I am a believer, where in the Bible does the Bible speak of “verses”? Why must I only “need to know” a few out of context verses? Are you aware that “verse numbers” were added to the Bible by Medieval Catholic theologians to help make it easier to reference? I know that ” All scripture is given by inspiration of God, and is profitable for doctrine, for reproof, for correction, for instruction in righteousness” (2 Tim 3:16). I know that St. Paul says, “Therefore, brethren, stand fast, and hold the traditions which ye have been taught, whether by word, or our epistle.” (2 Thess 2:15), and that Peter says: “19 We have also a more sure word of prophecy; whereunto ye do well that ye take heed, as unto a light that shineth in a dark place, until the day dawn, and the day star arise in your hearts: 20 Knowing this first, that no prophecy of the scripture is of any private interpretation.” (2 Peter 1:19-20). So how can it be “just me and Jesus,” when Jesus said, “This is my blood of the new testament, which is shed for many.” (Mark 14:24). Yes, He knew Me from before time, and yes, if I had been the only sinner ever, Christ would have still died for me, but He died for many, including me, not just me. c) If all I have to is confess faith in Jesus, why bother coming to your church? And what about where Jesus Himself says, “Not every one that saith unto me, Lord, Lord, shall enter into the kingdom of heaven; but he that doeth the will of my Father which is in heaven” (Matthew 7:21). 3. I would hope that, having shared your verses with me, you would be interested in hearing some of the verses upon which I base my life and faith. For example, one of my favorites is Gen 3:15, which is also on your list. I suppose then, that you honor the Woman (Jn 2:3) whom the beloved disciple must take as his mother? (Jn 19:26-27). Interesting that the Gospel which my evangelical brethren seem most ready to dismiss and most ready to downplay (other than John 1 and 3:16) is the one in which Jesus says the above words from the Cross to the author of the Gospel. One of the things I have learned from having vocal cord paralysis is how painful it is to speak when you can’t breathe. I cannot breathe and speak at the same time. When I speak too long, it becomes deathly painful because I asphyxiate a bit. Every word I speak these days is deliberate. Someone being crucified asphyxiates. Jesus was asphyxiating on the Cross, and took the time to say, “Woman, behold your son,” and “Man, behold your mother,” and the disciple who calls himself the beloved, who tells us that his Gospel only includes Jesus’s most important sayings, tells us he took her into his home. In that context, was the Man who said, “Let the dead bury their dead,” and Who knew fully well His death was coming and could have done it before, *really* just tending to His mother’s temporal care, especially by putting her into the care of a non-related apostle when He had, as the Scriptures tell us, “brothers”? Oh, speaking of “brothers,” Jesus and His followers spoke Aramaic. We know they were not multilingual since, on the day of Pentecost, the Apostles astonished everyone by suddenly being not just multilingual, but people of different languages were hearing their own tongues when the Apostles spoke. So, while the Gospels were originally written in Greek, they were written by people whose native tongue was Aramaic, recounting stories they’d heard or witnessed that originally *happened* in Aramaic. So in Aramaic, there is one word for “kinsmen” or “brethren.” When the Apostles wrote their accounts in “Greek,” they translated the Aramaic for “brethren” as the Greek for “brothers,” identifying James, Simon, Joseph, and as “Jesus’ brothers.” Note there are no “brothers” mentioned in the Finding in the Temple. Note that they never identify “James, Simon,” etc. as “Mary’s children.” If James, Simon and Jude were Mary’s biological sons, why would Jesus have given her to John to take care of, especially when John’s own mother was standing by the Cross, as well? (John 20:20). Also note that Jews do not name babies after their fathers, but only after deceased family members: St. Joseph could not have had a son named “Joseph” and been the just law-abiding Jew that Scripture tells he was! Surely, there must be something to the fact that the early Church decided that she whom Elizabeth identified as Mother of the LORD (Lk 1:43). This is another case where knowing that Jesus spoke Aramaic is important. The Aramaic Cephas, “bedrock,” is gender neutral. Greek “Petra” for bedrock is feminine, so Matthew translated “Cephas” to “Petros,” masculine, the first ever occurrence of that name in Greek, and the first ever use of “Cephas” as a name in Hebrew. Elsewhere in Scripture, it is rendered “Cephas,” rather than Peter, though I’ve encountered people who insist that the Cephas St. Paul refers to is someone else. Thus, Jesus, who promised to raise up descendents to Abraham from the stones told Simon that he was to be called stone and on this stone Jesus would build His Church. Then, in 1 Corinthians 10 and 11, St. Paul tells us the importance of the Eucharistic meal. “The cup of blessing which we bless, is it not the communion of the blood of Christ? The bread which we break, is it not the communion of the body of Christ?” (1 Cor 10:16). This is no mere community pot luck, he tells us, for we can eat at home (1 (Cor 11:22). 18 For verily I say unto you, Till heaven and earth pass, one jot or one tittle shall in no wise pass from the law, till all be fulfilled.” (Matthew 5:17-18). 5. Thank you for taking the time to consider these passages as I have considered the passages you sent me, many times in fact, as I’ve made a point since I was a young boy of being familiar with the Scriptures. God bless you in your ministry. I pray you find the fullness of Christ’s truth. Where is the Immaculate Conception in the Bible? If “Jesus answered them, ‘Verily, verily, I say unto you, Whosoever committeth sin is the servant of sin,'” (John 8:45, KJV) and ” all have sinned, and come short of the glory of God” (Romans 3:23, KJV), how can a woman who sinned, before Christ, have been at enmity with the Devil, unless by a special grace from God? We must always avoid a superstitious or magical approach to prayer. We should not think of the words themselves as having power or giving us power over God. When a novena is identified as “never failing,” it requires openness to God’s resolving the problem His way. It is better to make one’s intention as general as possible than to ask God for a specific resolution. Nevertheless, these four novenas have been demonstrated to be efficacious, particularly because they focus on the Scriptural commands to pray and they have the aforementioned openness to God’s will. 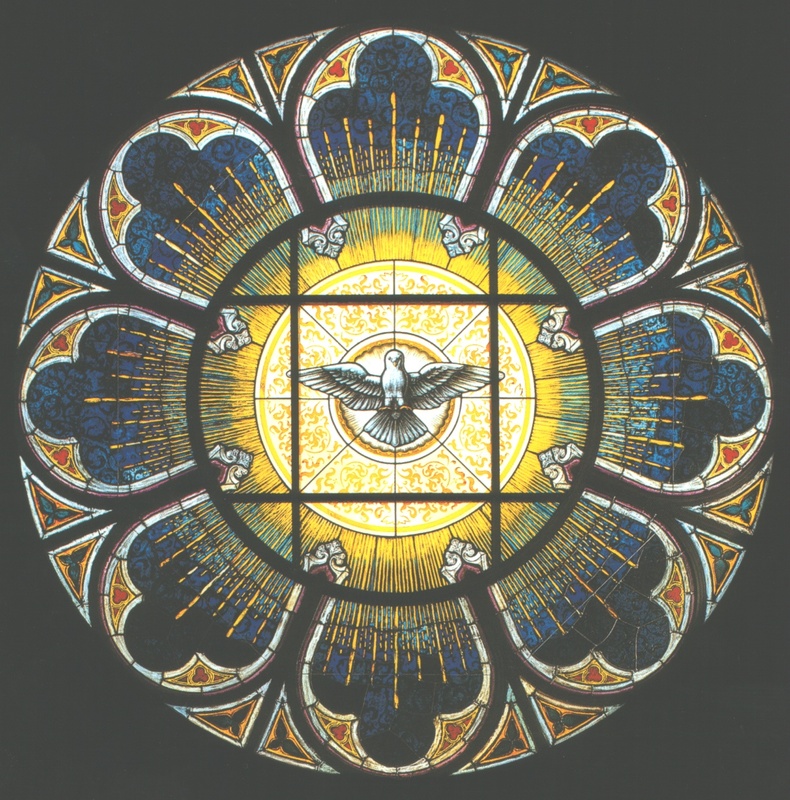 The Novena to the Holy Spirit is the prototype for all novenas: commemorating the Nine Days that Our Lady, the Eleven and some of the other disciples spent after the Ascension, waiting in the Upper Room for the coming of the Holy Spirit. Likewise, although we should not put too much import on the formulas or worrying about missing a day, etc., the point of a novena is to provide a small sign of dedication to God and concern for the cause at hand. In Liturgy, by using the same formulas around the world, we spiritually unite ourselves to others saying the same prayers. The same is true, in a lesser way, of private devotions like these. I share these prayers to help spread devotion to Our Lord, Our Lady and St. Jude. O Jesus, Who said, “Ask and you shall receive, seek and you shall find, knock and it shall be opened to you,” through the intercession of Mary, Your most holy Mother, I knock, I seek, I ask that my prayer be answered. O Jesus, Who said, “All that you ask of the Father in My Name He will grant you,” through the intercession of Mary, Your most holy Mother, I humbly and urgently ask Your Father in Your Name that my prayer be granted. O Jesus, Who said, “Heaven and earth will pass away, but My word shall not pass,” through the intercession of Mary, Your most holy Mother, I feel confident that my prayer will be granted. O HOLY MARY, full of the presence of God, during your life you accepted with great humility the holy will of the Father, and th e legacy of your Son, Our Lord Jesus Christ, and evil never dared to entangle you with its confusion. Since then, you hast interceded for all our difficulties as you didst at the wedding feast of Cana. With all simplicity and with patience, you hast given us an example of how to untangle the knots in our complicated lives. By being our Mother forever, you arrange and make clear the path that unites us to Our Lord. HOLY MARY, Mother of God and ours, with your maternal heart, please untie the knots that upset our lives. We ask you to receive into your hands our finances, careers and housing, and deliver us from the chains and confusion that restrain us. 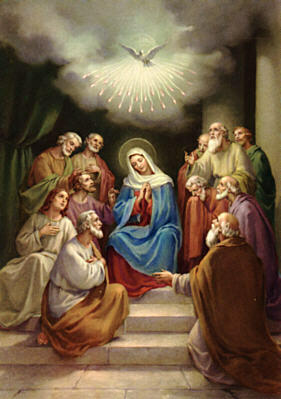 O BLESSED VIRGIN MARY, through your grace, your intercession, and by your example, deliver us from evil and untie the knots that keep us from being united to God, so that free of every confusion and error, we may find Him in all things, keep Him in our hearts, and serve Him always in our brothers and sisters. 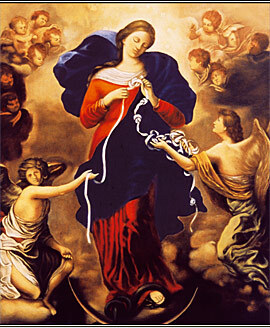 O MARY, Undoer of Knots, pray for us who have recourse to you. 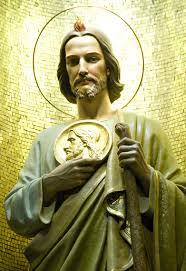 May the Most Sacred Heart of Jesus be adored, loved in all tabernacles until the end of time. Amen. Blessed be Saint Jude in all the world and for all eternity. Amen. O glorious Apostle, St. Jude, true relative of Jesus and Mary, I salute you through the Most Sacred Heart of Jesus, through which I praise and thank God for all the graces He has bestowed upon you.